Watch the actors deliver some of their most famous line long before they attained legendary status for their turn on the series. After news broke out recently about Game of Thrones winding up after season 8, fans have been in a state of frenzy. Even the fact that George R.R Martin is getting another series on television has not been of much help. 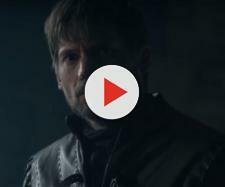 It feels as if fans have already become nostalgic about the series, two years before it is set to depart from HBO, which is why a new Video featuring many of the GOT actor's audition reels has managed to storm through the internet. This brilliant video is truly meant to service the highly agitated fans of the series, and it may just have soothed the angry beast, at least temporarily. How could it not? It features clips of various cast members auditioning for their future roles, and most of them unsurprisingly manage to nail their parts. You can watch the full video here. Turning up for the part. As you can see, a major portion of the enormous cast is featured in this video, and most of them show off their star power with poise and confidence. Emilia Clarke delivers a stunning monolog as Daenerys Targaryen, while a smart piece of editing shows Maisie Williams and Sophie Turner conversing with each other as sisters Arya and Sansa Stark. Jason Momoa manages to make a serious impact while delivering a Haka performance for his role as Khal Drago, while Rory McCann turns up the intensity in order to discuss the relationship between his character - Sandor Clegane and the brother who scalds his face. Even Rose Leslie makes an appearance in this video, delivering her all-too-famous line - 'You know nothing, Jon Snow'! It isn't hard to see why these actors were cast in the epic series after one run through this video. Most of them delivered some high caliber performance during their auditions, and almost everyone carried it during the bulk of the show, at least until it was their turn to get axed. It would have been interesting to see Lena Headey, Kit Harrington and Peter Dinklage in this video as well, but perhaps there is a second installment waiting to be released when the fans need it the most!